This Company Just Released One of the Most Offensive Shirts of All Time – UNBELIEVABLE! I am well aware of the suffering of the Jewish people. I am a half Jewish woman, and adhere to most of the traditions and high holidays. That’s why when I saw this story, I had to write something myself on it. 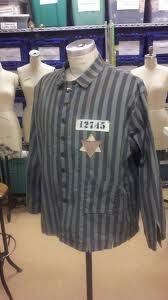 This is the shirt that clothing company Zara: was recently offering for sale in their stores…..
and this is a Nazi Concentration Camp Uniform worn by so many Jews during the Holocaust. 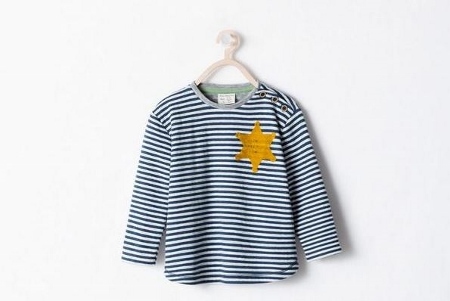 A shirt available online from the Zara clothing chain is creating an international controversy for a design many feel bears a striking resemblance to the garb Jews were forced to wear in Nazi concentration camps during World War II. The Times of Israel reports that the shirt has since been removed from the site. While Zara prides itself on an ability to bring new styles and designs to the market much faster than its competition, critics note that this offering was probably rushed through without a thorough review of its potentially offensive design. Potentially offensive? ARE YOU SERIOUS? No matter what part of the world you live in, you know what the Holocaust was. You know 6 Million Jewish people died. How does this design get ‘overlooked’ by so many people? I am not one to tell anyone what to do with their business, but this is just hateful and makes me sick to my stomach.